Now that spring is here, you’ve likely got outings at the park, school parties, trips to the zoo, feel like you live in the zoo. It’s a fun time of year. 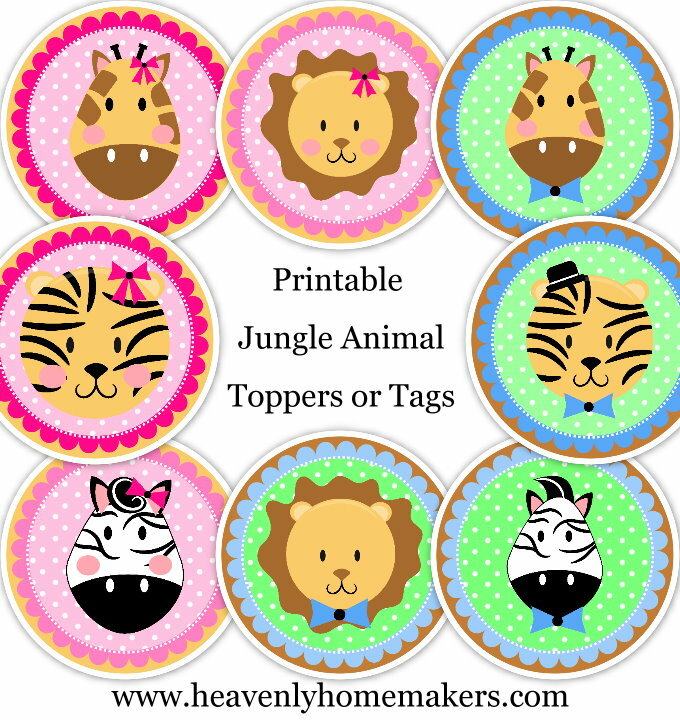 These printables can be downloaded (for free! ), and used however you like. Attach a toothpick and poke them down into a muffin or cupcake for a fun snack decoration. Attach a popsicle stick and let your kids use them as puppets. If your kids are old enough, let them do a little research on each animal, or on an animal of their choice. Use these as gift tags. What else can you think of to use these for? 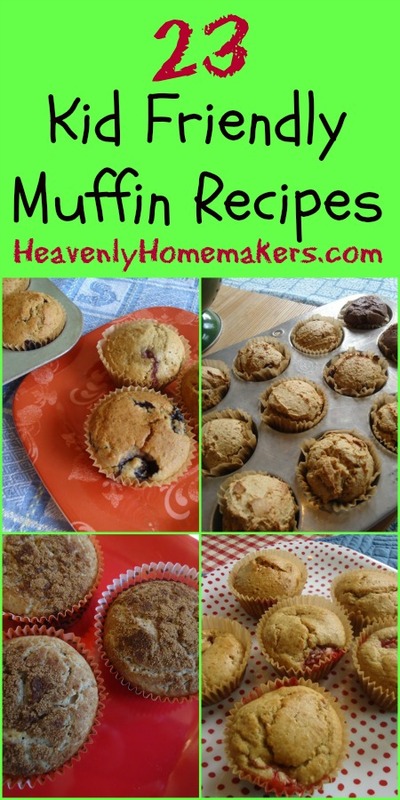 Want some yummy muffin recipes to go with your printables? I added them up and found that I have no less than 23 muffin recipes here at Heavenly Homemakers. I love how versatile just a few ingredients can be! All of these recipes are kid friendly, and they are made with wholesome ingredients. What are your favorite muffin recipes? I know the end of the school year is quite hectic for many. How’s yours going so far? I have 5 favorite muffin recipes, your Strawberry and Cream muffins and Oatmeal Blueberry muffins in the summer and Pumpkin Spelt muffins, Pear Cinnamon muffins and Carrot Apple muffins in the fall and winter. I try to stick to recipes that have 1/2 cup or less of added sweetener per 12 muffins, however that is still a fair amount of sweetener per muffin, so we view them as dessert and eat them sparingly. Laura, your muffins are a staple in my kitchen! My 3-yr-old just polished off the last of the strawberry muffins (from your strawberry bread recipe) and my 8-yr-old has been requesting your chocolate chocolate chip muffins and pancake and sausage muffins. We’ve had to take my 3-yr-old off dairy and gluten, so I’ve had to do some experimenting with our favorites, and your almond flour muffins show up at least a couple of Saturday mornings a month. I really can’t thank you enough for sharing your recipes and tips! I think you have way more than 23 muffin recipes. I turn lots of quick bread recipes into muffins for my family. Your applesauce bread in muffin form is one of our favorites. It goes together quickly, and we have lots of home canned applesauce on hand.